Slide in your iPad or netbook, sling it over your shoulder and you're good to go in style, while keeping your iPad or netbook safe from bumps and scratches. 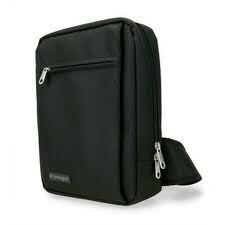 The Sling Bag has room for your iPad, netbook or tablet PC, plus all your essentials. Fits iPad, netbook or tablet PC up to 10.2"